Early Muslim society included the aristocrats–datus, rajahs and sultans–who occupied the top rung of the hierarchy, being also members of the ruling class. Filipina Muslim royals, on the other hand, had very little freedom, their affairs limited to household activities. However, historical records show that a few exceptional queens and princesses, like those featured on this list, wielded great influence that changed the course of Muslim socio-political history. 1. 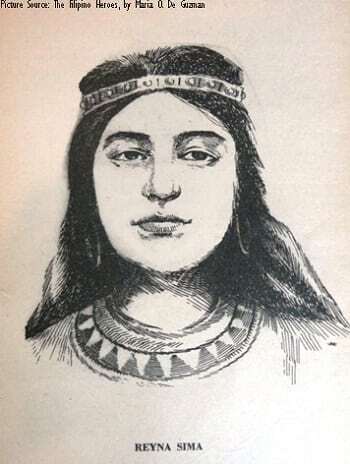 Queen Sima of Cotabato. 2. 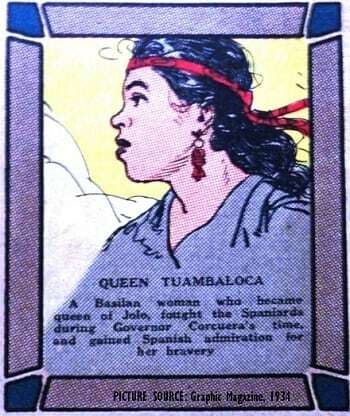 Queen Tuambaloca of Jolo. 3. 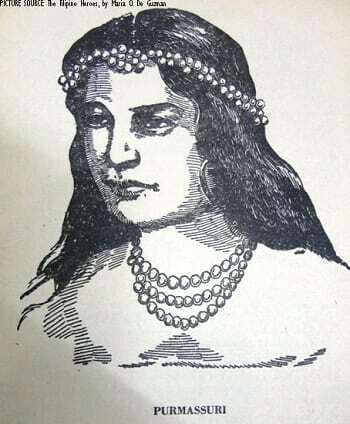 Princess Purmassuri of Sulu. 4. Hadji Dayang Dayang Piandao. 6. Princess Bai Hadja Fatima Matabay Plang. The legendary queen of lower Cotabato (ca. 637) was known for her sense of justice and respect for the law. It was said that an Arabian King wanted to test this quality by commanding a courtier to plant a sack of gold on a road located in Reyna Sima’s kingdom. The foreign king wanted to see if the queen’s subjects would touch the treasure, as there were strict laws against theft. For three years the gold was left untouched, until one day, a prince—Reyna Sima’s own son—saw the sack and felt it with his foot. The queen was informed of this transgression and immediately ordered that the prince’s foot be cut off. His ministers pleaded mercy for her own son and so, Reyna Sima reduced the penalty to cutting just one toe off the foot of the prince. 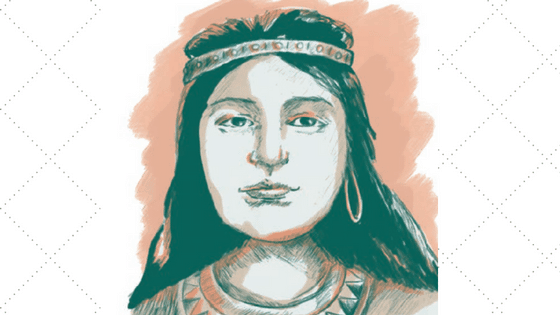 This Basilan woman ascended into power when she became the wife of Raja Bongso and became the Queen of Jolo (1649-50). When Gov. Gen. Sebastian Hurtado de Corcuera led his forces in the Moro expeditions that reached Sulu on January 4, 1638, Tuambaloca gained the admiration of the Spaniards for her bravery as she and her husband held off the invaders with their 4,000 warriors. The royals gathered their people on a hill and held their ground. In the end, sickness and hunger took their toll on the holed-up Muslims, resulting in deaths that moved the valiant queen to go down and face the Spaniards, plead for compassion and offer surrender. During the Spanish incursions into Moroland, the Sulu defender named Siri Kala and his trusty leader Sigalo planned to repel the expeditionary forces. However, they realized that with their small army, their chances of victory were slim. The beautiful Sulu princess Purmassuri came to the rescue. She connived with the leaders to devise a plan against the Spaniards. Purmassuri then went to the Spanish cuartel and used her beguiling charms to meet and entertain the soldiers. With the enemy soldiers distracted, the small Moro army attacked in stealth and claimed victory. 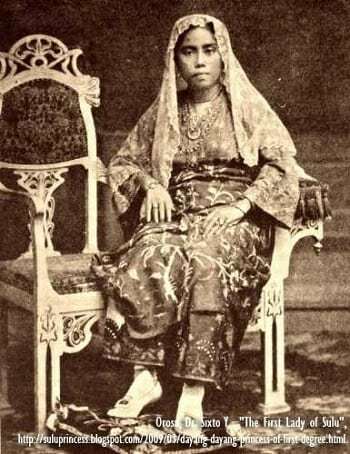 Sulu’s First Lady was born in 1884 to Hadji Amina and Sultan Baddaruddin. When his father died, he was raised and adopted by his uncle, Sultan Jamalul Kiram, making her an heiress to his wealth. The bright princess mastered the Koran at age 8; at 12, she was an experienced traveler, regularly going on pilgrimages to Mecca, Sandakan, and Singapore. Dayang Dayang came into her own after her controlling mother died. She then became an excellent administrator (she was a valued adviser of other sultans) and earned a reputation for being a progressive Muslim woman. She encouraged education for Muslim children and cultivated harmonious Filipino-Christian relations. Dayang Dayang married Datu Ombra Amilbangsa, who, in 1937, was proclaimed Sultan of Sulu by a number of his followers. 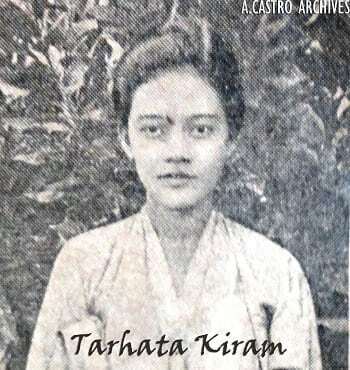 Princess Tarhata Kiram was born on May 24, 1906, to Datu Mawalil Atik Kiram. She broke barriers for Muslim women in 1924 when she went to study in the United States as a pensionado, with permission from his uncle, Sultan Jamalul Kiram. At the University of Illinois, she became a campus figure and took to Western ways—including wearing Flapper dresses. After 2 years, she left the university without obtaining a degree and came home to her people. To the consternation of American officials, Tarhata married the leader of the 1927 Moro revolt, the prince of Jolo, Datu Tahil (she would wed two more times). The Westernized princess ousted three other rivals from her husband’s home, in defiance of Muslim laws which sanctioned polygamy. In 1927, she denounced the Bacon Bill which called for the separation of Sulu from Mindanao. To preserve peace in the region, Princess Tarhata gave up her claim on Sabah which her ancestors leased to the British. She also acted as a consultant for Muslim affairs under Rear Ad. Romeo Espaldon. The princess who was way ahead of her time passed away on May 23, 1979. Source: Cotabato Foundation College of Science and Technology (CFCST) Official Website. Honored posthumously as one of the most outstanding Muslim women in 2008, Bai Hadja Fatima Matabay Plang was a Maguindanawan princess, born in Kabacan to parents of royal blood. 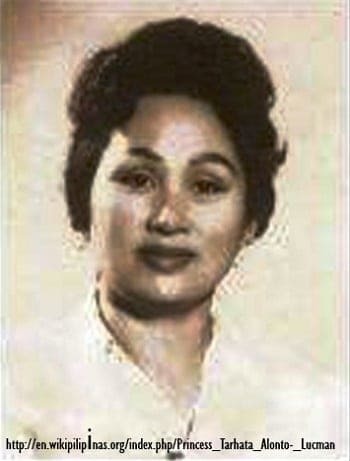 Plang, like Princess Kiram, became a pensionado scholar in America, and when she returned, she was married off to Salipada Pendatun, a future congressman. It had always been the aim of the princess to provide education to all, and it was for this reason that she founded the Mindanao Institute of Technology (MIT). Built on 1,024 hectares of land acquired from the Americans in the 1940s, the school achieved university status in 1978. Known today as the University of Southern Mindanao (USM), it has expanded to 3 campuses covering over five thousand hectares. The legacy of Bai Hadja Fatima Matabay Plang, who died in 1984, lives on in this university now recognized as one of the country’s top schools for agricultural education. The first Muslim lady governor of Lanao del Sur, Princess Tarhata was a student prodigy, who at age 6, was accelerated to Grade 4. 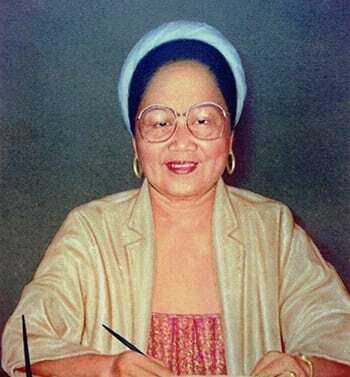 She ably assisted her father, Alauyo Alonto, a religious leader and politician, by acting as the latter’s English translator and accompanying him in his trips to Manila. She broke Muslim traditions by marrying the man of her choice, Sultan Al-Rashid-Lucman. During the Martial Law years, she became a staunch critic of Marcos and since 2001, has become a leading light for her fellow Muslims in Lanao del Sur. 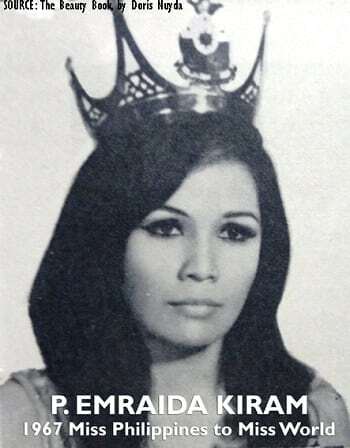 In 1967, Emraida Kiram a.k.a. Vivienne Lee Austria had the two-fold of honor of becoming the first Miss Philippines to compete in the Miss World, and the first Muslim woman to win a national beauty title. She was the daughter of Sultan Omar Kiram (cousin of Tarhata Kiram, adopted by a Christian and given the name Vicente Austria) and Nellie Lee Kelly, a Filipina-American. A holder of 4 college degrees (Journalism, English, Philosophy, and Bachelor of Law), Emraida also took her Master of Laws in Madrid and London and found work at the University of Wisconsin. Princess Emraida is married to Segismundo Gata with whom she has two children. De Guzman, M. (1967). 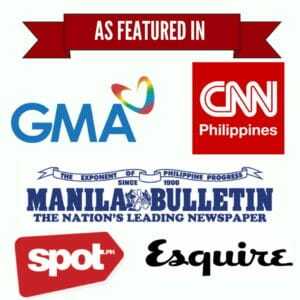 The Filipino Heroes (Ang Mga Bayaning Pilipino). National Bookstore. Haddad, Y., & Esposito, J. (1998). Islam, Gender, & Social Change (p. 211). Oxford University Press. Nuyda, D. (1980). The Beauty Book. Mr. & Ms. Publishing. Orosa, S. (1917). The First Lady of Sulu. The Philippine Review, 2(1).